Beginning with a list of things a man alone on an Alaskan island misses about home (“fingers on the back of his neck”, “salad”), this poetic, sweetly melancholy tale explores the obsessions that can come between us and our potential for happiness. With a live soundtrack providing haunting sounds of the sea and whales (especially impressively from Carolyn Goodwin) interspliced with original song and dance, this is a multi-sensory tour of one man’s journey through love, betrayal and a hunger for connection. Ted, played by Robin McLoughlin, is an expert in hydroacoustics tracking the movements of whales, when he discovers a mysterious whale and finally finds someone he can really talk to. 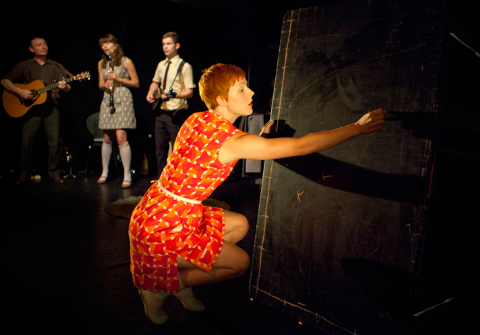 Theatre group Fine Chisel have taken the true story of the lone 52-Hertz whale, which sings at a frequency far higher than any other species, and turned it into an emotional force of nature. The tale carries us through Ted’s memories of his uncle Mal (played by George Williams with some excellent, simple puppetry from artistic director and performer Tom Spencer), and of fiery Fiona (Holly Beasley-Garrigan), quite possibly the love of Ted’s life, who makes some dangerous decisions. Add in the music, some audience participation (nothing too taxing, I promise), and it all contributes to highlight Ted’s current solitude in the middle of the North Pacific ocean, with only the cries of the whale for company. 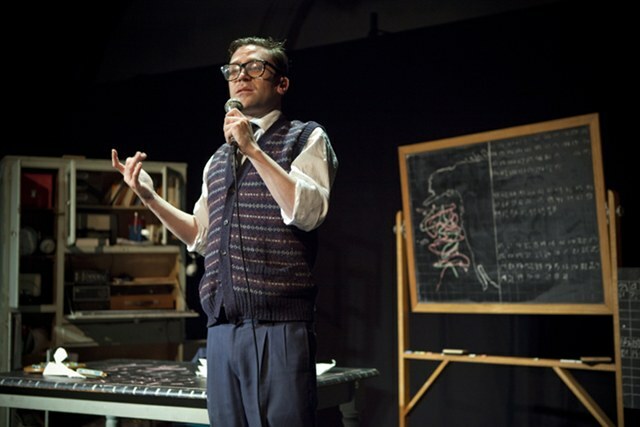 The version being performed in the current tour has been developed from its Edinburgh Festival premiere. It’s a joyful, tragic and deeply moving examination of our desire, and inability, to communicate effectively. Go and see it while you can. You’ll emerge struggling to find adequately effusive words. 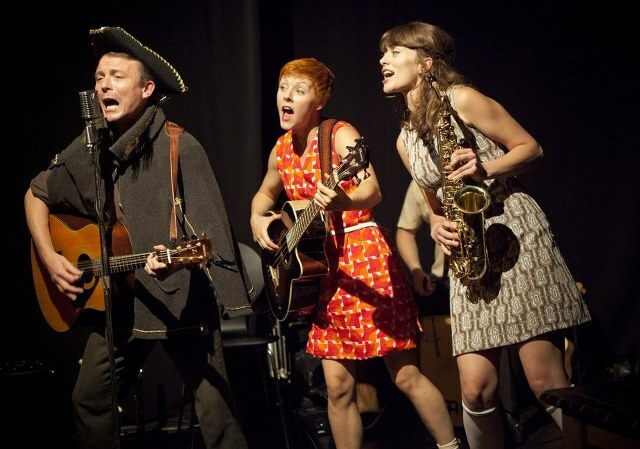 Dumbstruck by Fine Chisel will be at The Tobacco Factory’s Brewery Theatre, Bristol, until Sat 21 June 2014, and will then be touring until 19 July. Find full dates here. This entry was posted in Reviews and tagged Brewery Theatre, Dumbstruck, Fine Chisel, theatre reviews by Judy. Bookmark the permalink.